In collaboration with the Consulate General of Mexico, the Fiesta de Independencia Foundation, the City of Austin, Univision, the State Preservation Board, and the Mexican American Legislative Caucus, Austin’s annual Fiesta de El Grito de Independencia is a musical celebration and historical re-enactment of Mexico’s call for independence from Spain. The event takes place each year on the South Steps of the State Capitol. 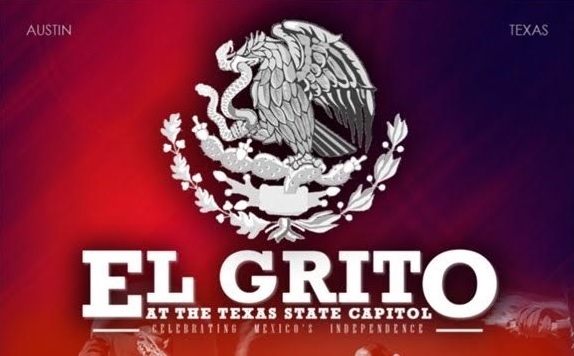 The Fiesta de El Grito was relocated to the grounds of the State Capitol and taken to a historic level of participation in 2013. Last year’s event drew a crowd of over 10,000. This family-oriented celebration is alcohol free. Special programming includes Mexican and Tejano music, Folklorico Dancers, and food vendor booths. The highlight of the evening is the re-enactment of “El Grito”, by the Honorable Carlos González Gutiérrez, Cónsul General de México. 1100 Congress Avenue, Austin, 78701, United States.